You need SEO. Plain and simple. In order for your website to be successful online, search engine searches are the best way to get targeted traffic to your website. While search engine searches are free, they can be hard to get if you don’t know what you’re doing. That’s why hiring a company to do SEO for you makes a lot of sense. This article will explain how to find an affordable SEO service. The best way to find an affordable SEO service is to do a Google search. Top companies will be at the top of search engine rankings. Makes sense, right? After all, what are you paying for? The right to be at the top of search engines and get all that wonderful targeted traffic. When finding an SEO company, the point is to find a company that knows what they’re doing, and the best way to do that is to do a Google (or your favorite search engine) search. Not all SEO companies provide the same services. Watch for over-priced garbage while you try to find an affordable SEO service. Many will promise you top search engine rankings, but most come with a hefty cost. Never let any SEO company tell you that social media is a good way to get to the top of search engines. Google and a few other engines have said that the key to getting good rankings are the number and quality of single links pointing to your site. Twitter, Facebook, Digg and others are only a handful of sites. It doesn’t matter if you’re listed a thousand times on any one of those sites. That’s still Twitter.com (Facebook, etc.) listing your site. Just one domain. Hardly search engine optimization. In order to get noticed by everyone, you need to be everywhere. That’s a fact. When finding an affordable SEO service, demand to see results. 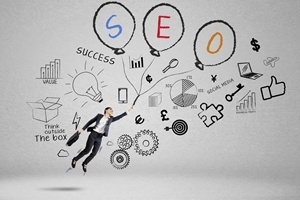 Many SEO companies will put a testimonial or two on their homepage. More often than not, that testimonial is fake. It’s not hard to type up a paragraph or two telling everyone how great a certain site or service is. It’s another thing to deliver on the results. Some SEO companies will offer a free 1 or 2 month trial period. Setup your site, and get in on the trial. Then track the traffic and indexing you get from that service. Then you’ll really be able to tell if you want to shell out the money it takes for that company to promote your site and gain top results from search engines. Your websites need SEO. There is no doubt about that. But where to find an affordable SEO service can be a daunting task. Do search engines search to research the SEO Company to see how well their site ranks? If it ranks well, there’s a good chance that yours will rank well also. Not every SEO service is the same. Be careful with overpriced fluff. Demand to see results, and make sure you ask about a 1 or 2 month trial. There’s nothing wrong with test driving the car to see how it runs. GrabRanking is top SEO agency India offering white hat ethical SEO services that improve rankings and ROI. For reputed SEO Agency in India and best SEO agency India providing ethical SEO services at affordable rates, get in touch with us today. We are Affordable SEO agency in India and top SEO agency in India providing ethical SEO services at very reasonable rates to the clients globally.